Here's the playlist for this week's edition of Mondo Radio, which you can download or stream here. If you dig it, please find the show on Facebook and Twitter. The Rolling Stones - Ventilator Blues - Exile On Main St. Here's another program I curated for Network Awesome's "Salute to Drugs", a 1979 ABC News report on the CIA's Project MK-ULTRA, which involved dosing unwitting subjects with LSD and other powerful drugs in the hopes of discovering a truth drug and, ultimately, a mind control agent. Unethical, criminal and just plain creepy? You bet! But as Timothy Leary points out, without the agency's tests, it is somewhat doubtful that the counter-cultural movement of the 1960's, as we know it, would have occurred. Trouble viewing the video? Watch it on Network Awesome. One of my contributions to Network Awesome's week-long "Salute to Drugs", Cartoon All-Stars to the Rescue is an animated anti-drug special simulcast by every major network, as well as many cable outlets, on April 21, 1990. What sets it apart from any other special or "very special episode" is that major companies, including Disney and Warner Brothers among others, allowed their characters to be used royalty free. I guess the scourge of drugs is enough to persuade normally litigious media companies to put branding and copyright aside. Oh yeah, I almost forgot, McDonald's financed the whole thing. Enjoy! In advance of their show tomorrow at Turner Hall, I talked to Cut Copy's newly-minted bassist Ben Browning about touring, joining a band in progress and, of course, their latest album Zonoscope. 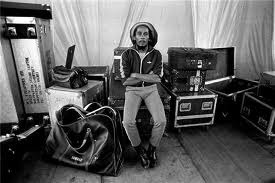 Writing about Bob Marley is a bit of a challenge. He means so many different things to so many different people, has been so thoroughly discussed and documented that he doesn't even quite seem like a real person. So when Network Awesome asked me to write a companion piece to a video collection of live performances, it seemed like a good excuse to point out that there was indeed a man behind the legend (no pun intended, honest). Here's the playlist for this week's edition of Mondo Radio which you can stream or download here. If you dig it, please find the show on Facebook and Twitter. Gang Of Four - Damaged Goods - Entertainment! Gang Of Four - I Found That Essence Rare - Entertainment! The Clash - Police On My Back - Sandinista! 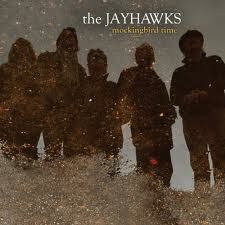 The Jayhawks occupy a somewhat strange place in the pop music totem pole. 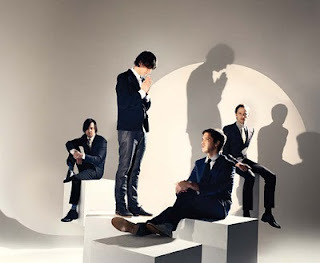 Never really making it to the top, but also not never sinking completely into obscurity, the Minneapolis alt-country outfit trudged the middle of the road, developing a fan base, not massive, but devoted and sustaining. It's a position that, like anything, has its pros and cons: on the one hand, the pressure level is manageable and you're free to be yourself, on the other, stagnation becomes a very real possibility. Perhaps because they could and perhaps because they needed to, The Jayhawks had been on hiatus since 2003's Rainy Day Music, but now they've returned, sounding refreshed and confident on the new Mockingbird Time. This is due in part to Mark Olson, who after leaving the group 16 years earlier (in the wake of 1995's Tomorrow the Green Grass) revived the classic lineup onstage for a few festival gigs, fell back into the old groove, and set about touring and writing new material. Like so much alt-country, the new album isn't paradigm-shifting, mind-blowing stuff, but it is nevertheless a sprightly, instantly ingratiating set of songs. Unsurprisingly, you can hear the Neil Young influence trickling down into tracks like "Black Eyed Susan", but mostly, the group keeps things light and folky, sprinkling in a few indie-rock refrains for good measure. Lyrically, lines like "There's so much color in the sky that's in your eyes" can initially sound like bad teenage poetry, but settle into place on repeat listens, which the album invites, despite the 50 minute run time. It's not an essential record; like The Jayhawks themselves you can take it or leave it, but those already inclined to pick it up will find a lot to like. Here's the playlist for this week's edition of Mondo Radio, which you can download or stream here. If you enjoy the show, please find us on Facebook and Twitter. Method Man & Redman - Cereal Killer - Blackout! Thanks to the good folks over at Network Awesome, a piece I wrote for them a couple weeks back has found its way to WFMU's Beware of the Blog. As a big supporter of public media, good music and weirdness in general, I'm understandably proud to have the piece featured there. Here's another video I curated for Network Awesome, the very first episode of Video Power from 1990. This tips and tricks show, which also featured a cartoon starring a cross section of Nintendo/Acclaim characters, morphed into a game show format in its second season. As an added bonus, this version also comes with all of the original commercials intact. Kick back, relax and get ready for the most '90s thing you've ever seen. Here's the playlist for this week's edition of Mondo Radio, which you can download or stream here. If you dig it, please find us on Facebook and Twitter. Simon & Garfunkel get the credit for this soundtrack to Mike Nichols deserved classic film The Graduate, but there's a lot to like about the jazzy lounge numbers provided by David Grusin as well. With that said, S&G cuts like "April Come She Will" and, of course, "The Sound of Silence" are still lovely. 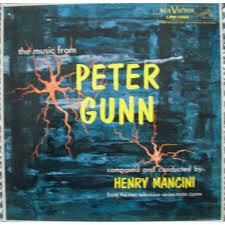 A nice collection of soundtrack music from the NBC/ABC detective series Peter Gunn, composed and conducted by that master of film and television scores Henry Mancini. I've never seen the show (and was surprised to learn that legendary filmmaker Robert Altman directed many of the early episodes), but the theme song is an immediately recognizable part of our collective consciousness. The rest of the album has a decidedly more conventional jazz feel, but is still perfect for creating some classically cool ambiance. Since I had not planned on buying any records, today's outing was a pleasant surprise. Although it would have been even better had that copy of the 2001: A Space Odyssey Soundtrack not looked as if someone had smeared peanut butter on it, as I definitely would have bought it. One of the stranger ideas to come out of Superman's golden age (and there were a lot of strange ideas for Superman in the 1950s), this pilot episode for the The Adventures of Superpup (1958) recast the familiar cast of characters, including Clark Kent, Perry White and Lois Lane, with anthropormphic dog versions. Be sure to find this and more great videos at Network Awesome. 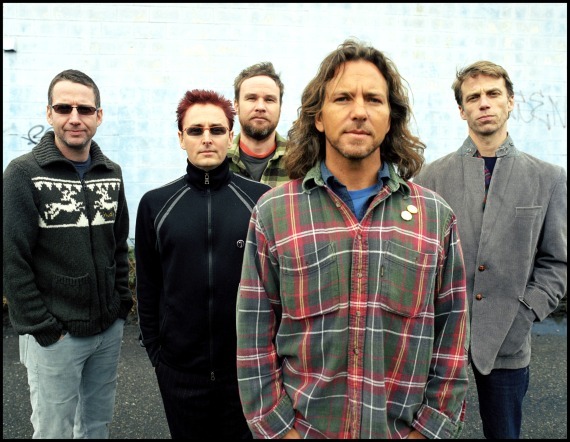 To celebrate their 20th anniversary, Pearl Jam set up this two-day festival featuring The Strokes, Queens of the Stone Age, Mudhoney, John Doe and a host of side stage acts, the only event of its kind in the country. Overall the event seemed to convey much of what makes Pearl Jam so good, as well as what makes them so aggravating. 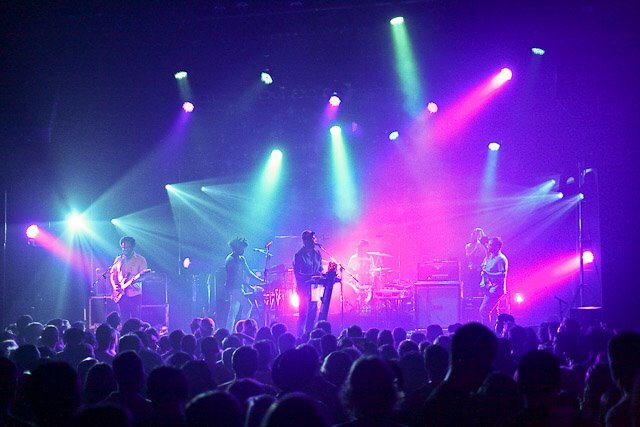 It's a little baffling as to why TV on the Radio had never performed in Milwaukee until now, but given the city's cultural inferiority complex there failure to play here was probably perceived as an indicator of our shortcomings as opposed to an accident of circumstance. No matter now though, since last night, the band took the stage at the Pabst to show us what we've been missing.